While the challenge of matching the basing of the weapon teams to the display board was fun, it definitely presented a challenge. 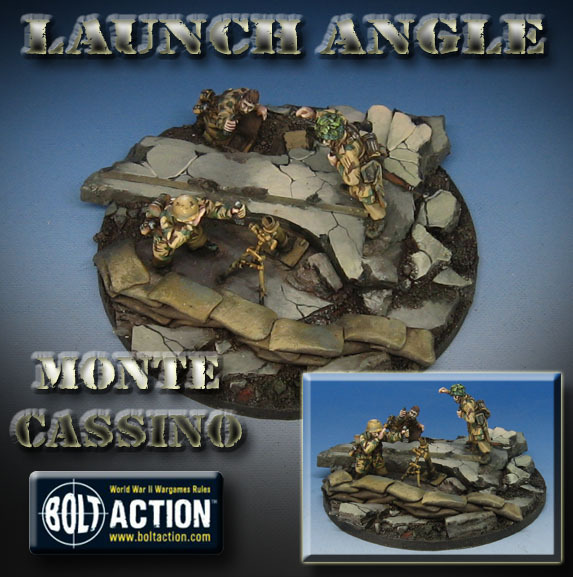 For those of you who have seen the Monte Cassino display board, you know that the shattered arches were a big part of it. 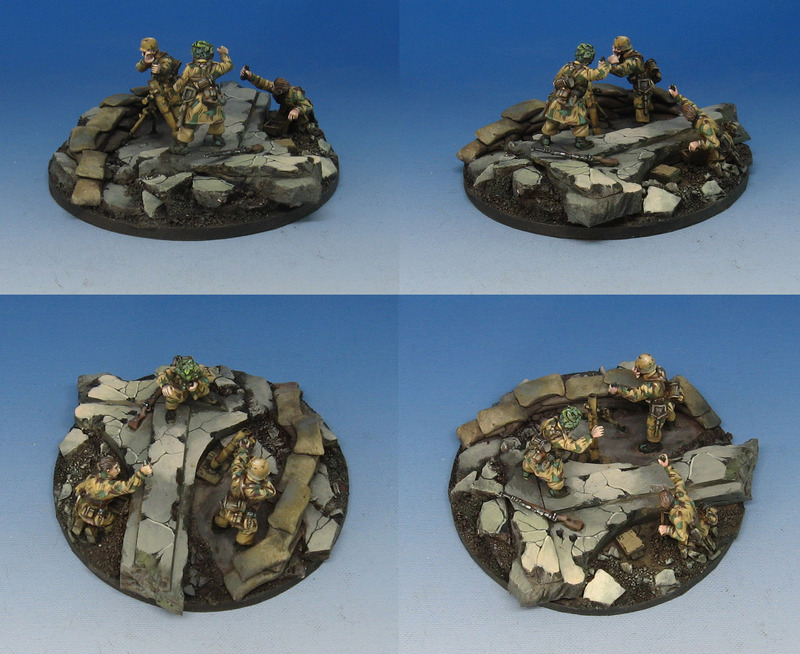 However, they did present a great opportunity to do some dramatic basing! All the little nooks and crannies allowed me to create additional story telling moments, with ammo cases and other items scattered about. 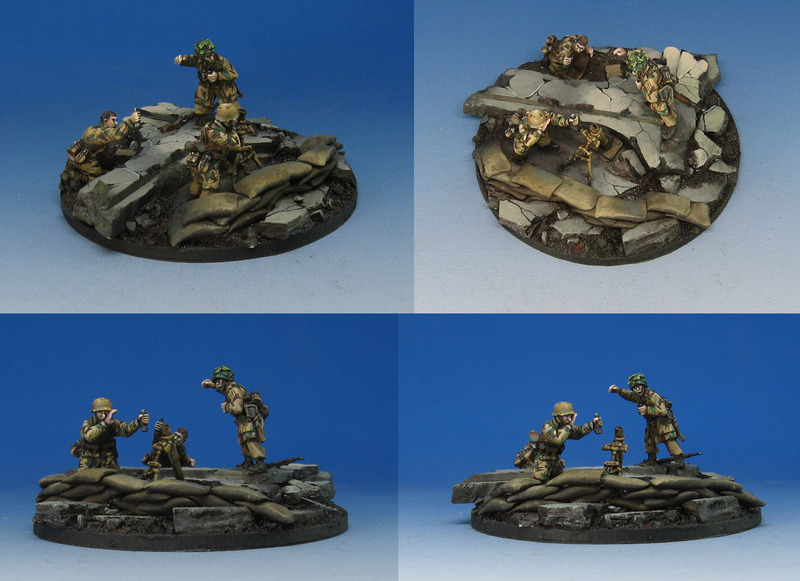 I used Apoxy Sculpt to make the sandbags, which I thought might make the position look that much stronger. The arches and most of the broken marble/stone were created using baked Sculpey clay. The advantage of the baked Sculpey is the ability to break and carve it after it has been baked. I have a number of basing videos available to my patrons right now, including a series on working with the Sculpey clay! 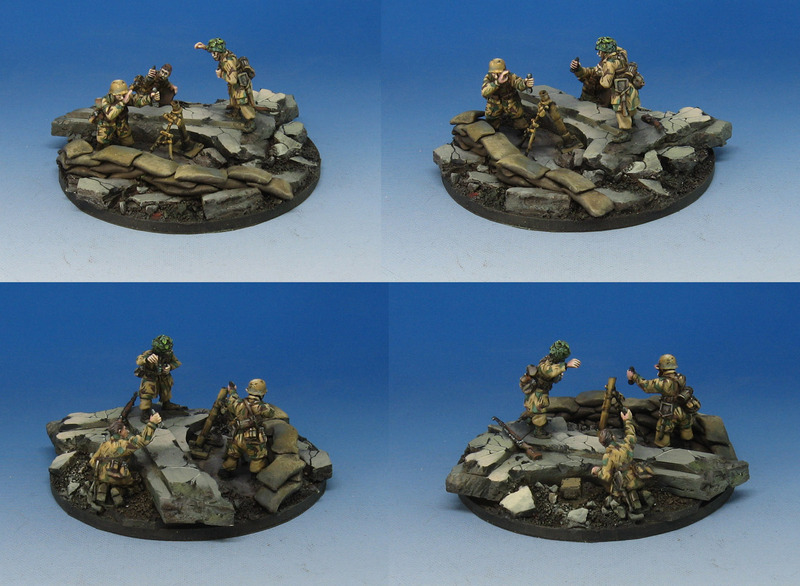 More to come on the individual infantry, and how they were based, so stay tuned!